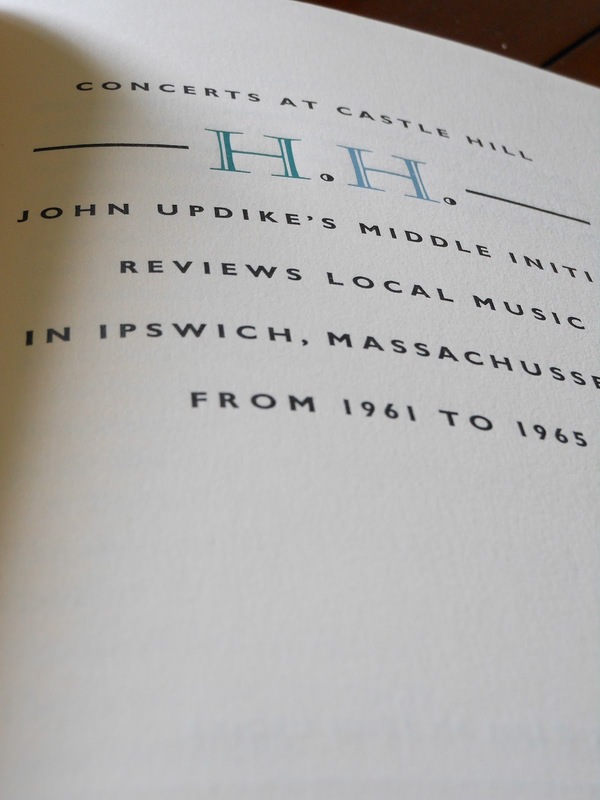 A beautiful volume of music criticism, Concerts at Castle Hill covers a series of classical performances that took place in Ipswich, Massachusetts in the 60s. Previously published in the Ipswich Chronicle under the pseudonym “H.H.” (something to do with Updike's middle name, Hoyer), the Lord John Press has compiled all 22 reviews into a lovely little book. Concerts at Castle Hill was originally published in 1993 in an edition of 250 signed and numbered clothbound copies (this is number 107) and fifty deluxe copies.